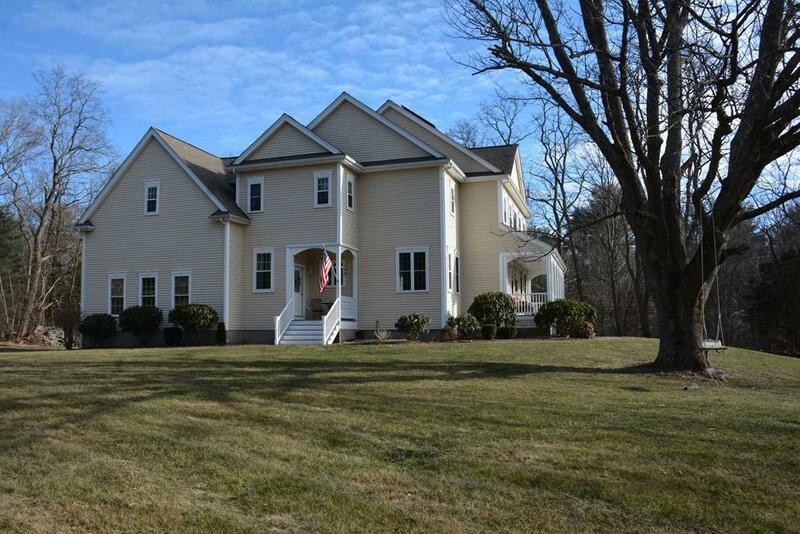 Extraordinary and immaculate Colonial awaits with custom woodwork, fluted columns and detailed archways! 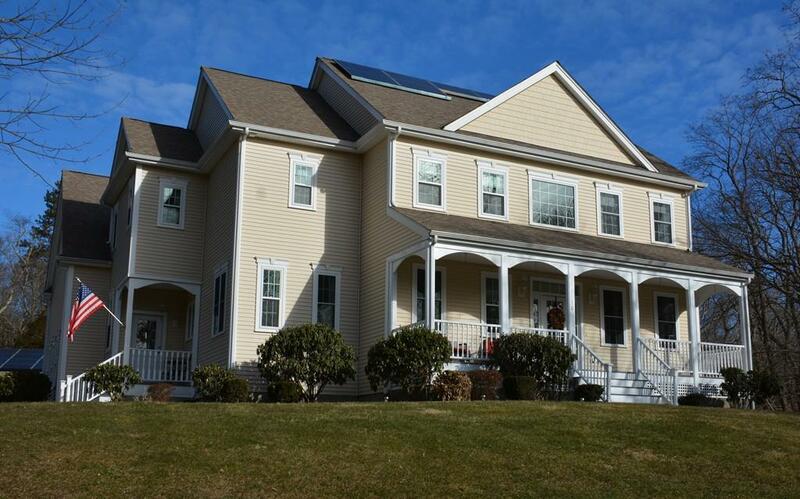 This unique 4 bedroom, 4.5 bath home sits atop a small hill and has a mini-estate feel. 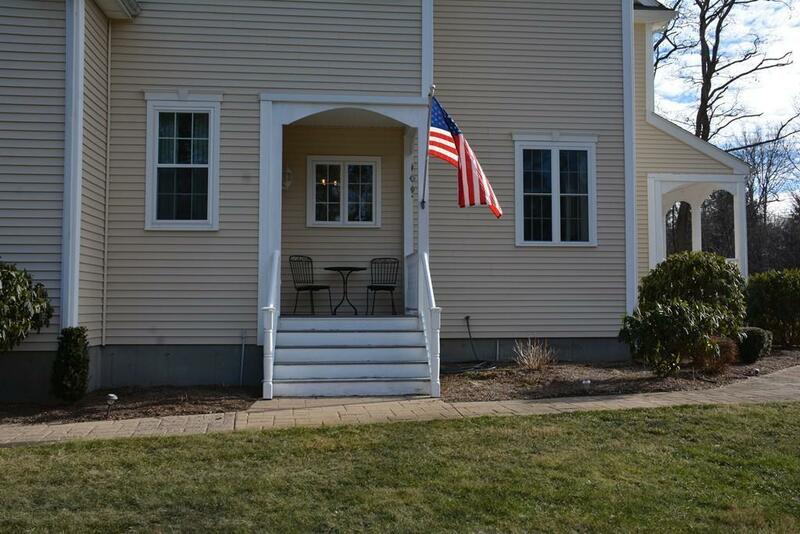 It features a detached over-sized 3 car garage with electricity, plus the attached 2 car garage. The backyards focus is the 10 x 20 stately Pavilion, perfect for backyard entertaining. Solar panels are available. The palatial master bedroom is complete with a large en suite with over-sized jetted tub, stand up shower, and double sinks. Three bedrooms have walk in closets. The kitchen features granite counters, stainless steel appliances, double ovens, and a gas range top-perfect for the at-home chef. Enjoy the open floor plan, providing some nooks for a bit of privacy. 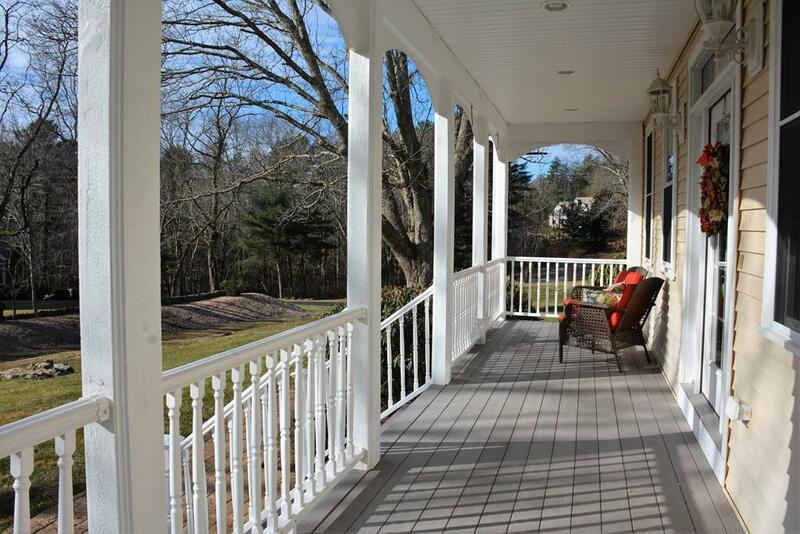 The many porches provide a place to sit and relax at any time of the day, some offer stunning views of the sunset! The majestic Ash tree adorning the front lawn, is perfect for summertime swings. Call for your private showing! Listing courtesy of Paula Dickson-Rando of Conway - Mansfield. Disclosures Mirrors in Dance /Bonus Room To Stay. Property Land Also On Separate Lot On West Street. Exclusions Outside Hot Tub Negotiable. All Personal Property. Sq Ft Disclosures Includes Approx. 774 Square Feet in Finished Lower Level. Buyer To Verify All information. Listing provided courtesy of Paula Dickson-Rando of Conway - Mansfield.